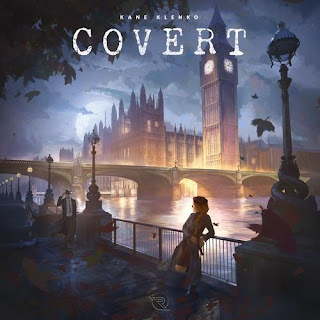 Covert is a board game where players take on the roles of spies working covertly to accomplish missions. Over several rounds, players will collect necessary equipment, crack codes, gather intel, and deploy their agents all across Europe in an effort to complete these missions. Utilize your assets. Make your move. Don't let anyone stand in your way. Your mission has been set, and now it's up to you to complete it. Strategically use your dice and special abilities to outwit your opponents. 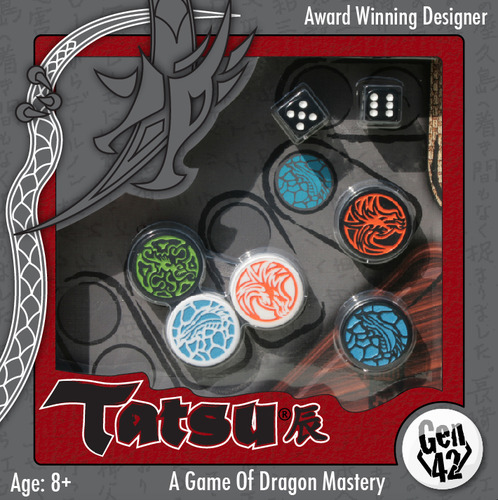 Tatsu is from John Yianni who also designed the Mensa Select award winning game, Hive. 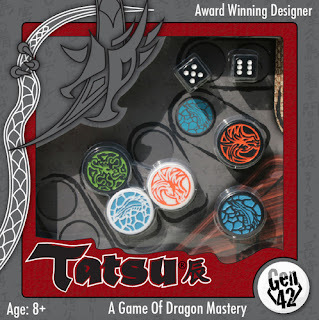 Tatsu a two-player game in which players control three different types of dragon pieces. 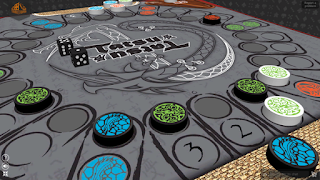 Victory is gained when a player manages to destroy all of one type of the opposition's dragons or knocks all the opposition’s dragons off the board so that none remain in play. 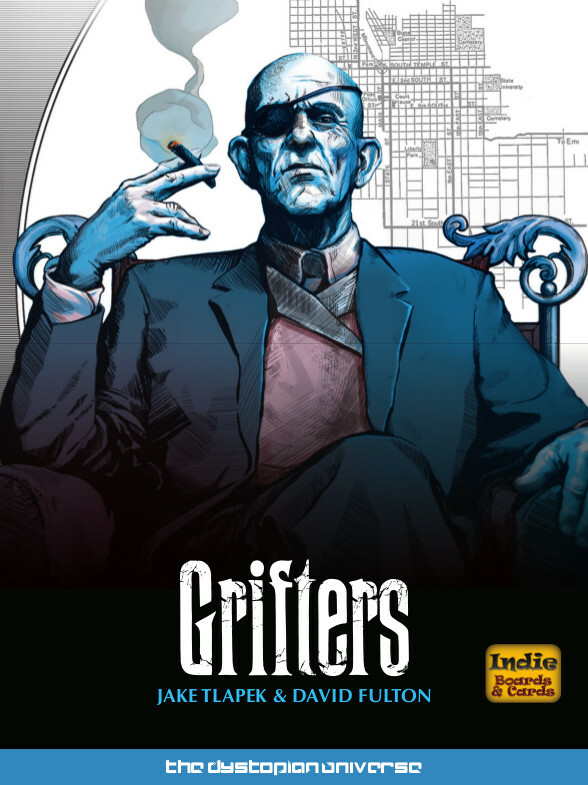 Grifters is a hand-building game that has all the fun of deck building games, without the deck. 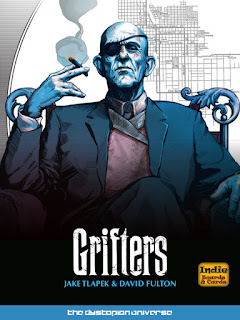 Players take on the role of powerful crime bosses, building their criminal organizations by carefully recruiting new operatives with specialized skills, and directing their team's nefarious deeds. All of your specialists are either in play or in your hand, ready to be used as you command. 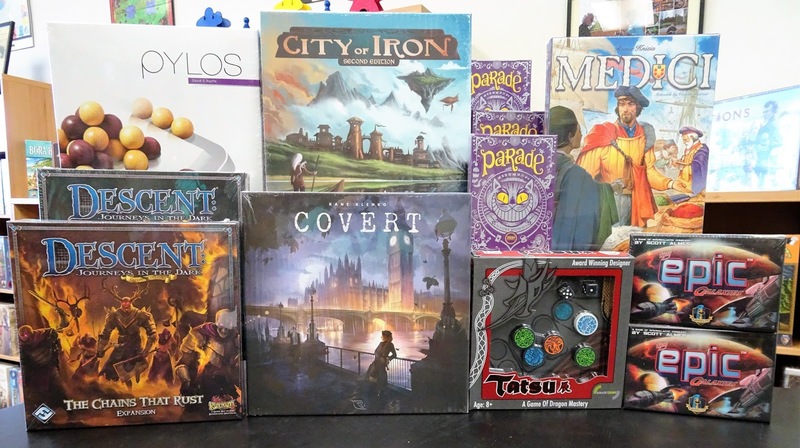 We will be having a special New Game Splash event for Grifters. Mike will be on hand to demo and lead game play. Come - See - Play! 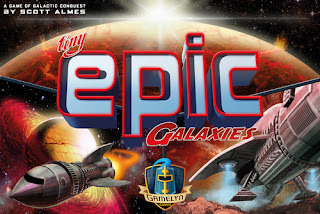 In Tiny Epic Galaxies each player controls a galactic empire, aiming to expand their influence by acquiring highly contested planets and increasing their cosmic armada. 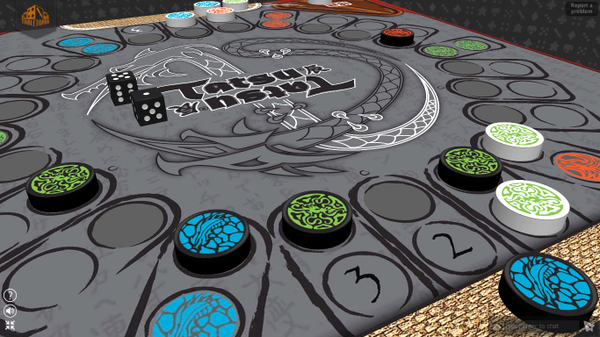 The game revolves around an innovative dice-rolling combo mechanic. The number of dice you roll is determined by the strength of your galaxy. Each die is engraved with symbols representing the various actions you can take, such as moving a spaceship, increasing your culture or energy resources, or advancing your political or economic influence over newly discovered planets. The Chains That Rust is the latest expansion for the base game, Descent: Journeys In The Dark 2nd Edition, a board game in which one player takes on the role of the treacherous overlord, and up to four other players take on the roles of courageous heroes. 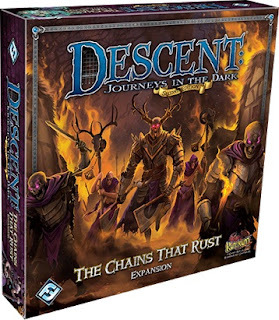 In this high-level campaign expansion, the heroes must brave the vile, haunted Mistlands one more time. While opposing the corrupted servants of Waiqar the Undying, the heroes must search for a cure to their cursed half-dead condition. Failure will condemn them not to death, but to something much worse: an everlasting life. Includes 8 new plastic monster figures. Fabulous artwork aside, City of Iron has gone through a few changes and is now available in a 2nd Edition. In City Of Iron, players compete to build up a small nation in a world of machines, magic, and money. Become the leader of one of four rival nations: the industrious humans, the toad engineers, the scholarly Cresarians, or the clever Hogmen. Produce goods like machine parts and bottled demons to gain wealth, or research steam-age technology and recruit mercenaries to control the continent. If you want to establish new cities, you’ll build schooners or airships to reach faraway lands and flying islands. Your cities have limited capacity, so you’ll have to decide what to keep and what to demolish when building advanced structures. The future of a nation is in your hands. Build unbreakable foundations for an empire or disappear into the dusty pages of history. 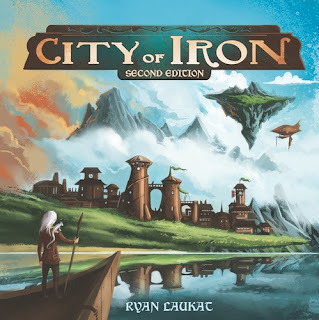 Watch this video for an overview and review of City of Iron, 2nd Edition. 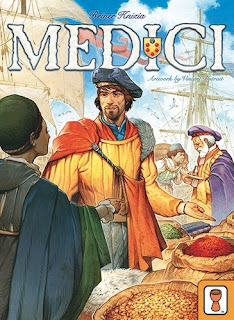 Medici is an auction game for 2 to 6 players. Players are buyers for a merchant house in the competitive, but profitable age of the infamous Medici family. Every day you go to the wholesale market, where you expect to find lush furs, grain from the rich fields abroad, exotic spices, colorful dyes, the finest cloth, and, rarely, gold from mines far across the waters. Over the course of three rounds, players will buy and load goods onto their ships before receiving money for the value of their holds. Players must carefully their money, not only is it necessary for bidding at auction but it's also end game points. Medici is an interactive board game that is quick to learn and engaging to play. 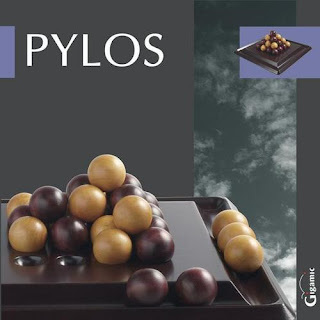 Adding to our abstract game selection is Pylos, a 2-player game about building a pyramid and saving balls with simple rules, quick rounds and rather subtle tactics. Each player has 15 balls of a player color and takes turn stacking them into a single pyramid on the 4x4 game board. There must be 4 balls of any color mix next to each other before you can stack a ball on top to form a new level. If by design the 4 balls happen to be all of your color, you can then remove one or two of your balls elsewhere on the board and place them back in your supply. The winner is the player who saves the most balls and is thus the last to complete the pyramid.